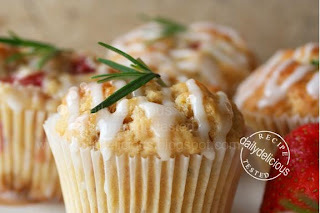 dailydelicious: Strawberry Muffins with Fresh Lemon and Rosemary: Fragrance and fresh, muffin for the lovely morning! 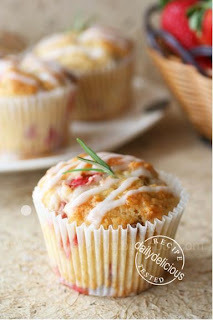 Strawberry Muffins with Fresh Lemon and Rosemary: Fragrance and fresh, muffin for the lovely morning! 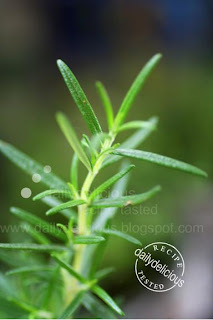 I just bought some pots of the herb (well, I have to inform you that they won't last long, I don't have green thumb >*<), and some of them is the rosemary. 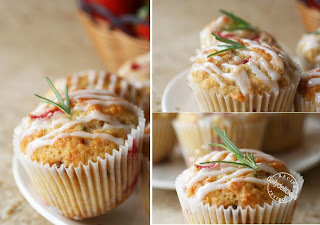 This muffin is the combination of the strawberry, rosemary and the lemon, well, you can see that it's quite interesting. 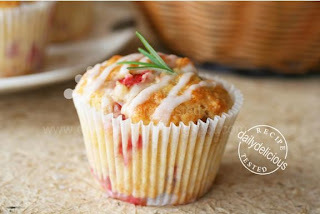 Like always, I have adjust the recipe to my taste ^ ^, I add a lot of the strawberry, as I want to make sure that anyone who eat this muffin will know that there are strawberry muffin, haha! And for the top of the muffin, the original recipe calls for the sugar to sprinkle over, but (I always have the reason, ^ ^) I find that the lemon taste is to little, so a lemon glaze will add the more lemon taste, the sense and a little tanginess to the muffin. The muffin turn to be great! The fragrance of the strawberry, lemon and rosemary get along very well (my sister, who has a lot problem with any smell haha), love the muffin too. So, I hope that you will like it, the muffin with a lovely fragrance, and refreshing taste, it will brighten up your day!. Preheat the oven to 350°F Line a standard 8 muffin tin with muffin papers (or butter and flour the cups or spray with nonstick vegetable cooking spray). 1. 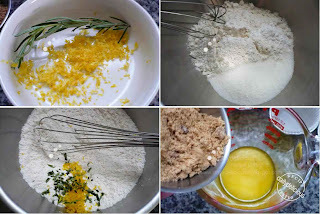 In a large bowl, whisk together the flour, baking powder, granulated sugar, grated lemon zest, rosemary and salt. Set aside. 2. In a medium bowl, whisk together the melted butter, brown sugar, and eggs until smooth - no lumps. 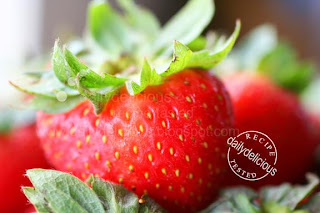 Add diced fresh strawberries and gently toss with your fingers to combine. Make a well in the center of the bowl. Whisk in the heavy cream and milk into the butter and egg mixture until combined. Pour the butter mixture into the center of the well and, using a rubber spatula; gently pull the flour mixture into the center of the well until just combined. 4. Divide the batter evenly among the prepared muffin cups, filling each cup until full. Bake for 20 to 30 minutes, or until lightly golden and a wooden skewer inserted into the center comes out clean. Let cool to warm. 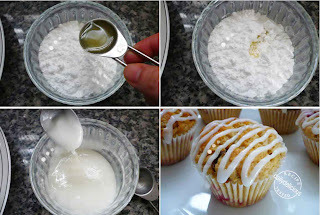 Mix the icing sugar with the lemon juice, and drizzle over the muffin and serve. Fragrance and fresh, muffin for the lovely morning! Wow...nice ka, I just made strawberry muffin last week but turn out a bit ugly..haha. Maybe I will try this recipe na ka.. 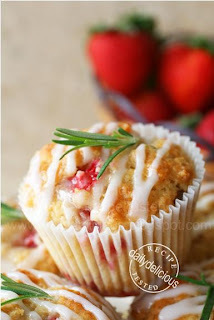 I'm trying to imagine the taste of the muffin, the sourish sweet strawberry taste, the fragrant lemon & rosemary, must be yummy ! I've tried a raspberry cheesecake flavoured with rosemary in Singapore & I liked it, will try it out when I get hold of fresh rosemary leaves.